Whether you are venturing into a commercial lease for the first time or tenth, you need an experienced commercial real estate attorney to review the contract and represent your interests. A commercial lease for a parcel of land, factory or storefront is far different than a basic apartment lease. It needs to be customized to meet both your and the other party’s needs as much as possible. It should offer you both protection from future problems and ensure the space is utilized safely and in accordance with the law. Ensure the basic terms of the contract are written accurately, including your names and contact information, the address of the premises, the dates of the tenancy, and the monetary obligations. Specify the permitted uses of the commercial space, particularly if there are restrictions on how the land or buildings can be used by the tenant. Address spaces outside of the commercial space the tenant may or may not utilize during the lease, such as storage, parking spaces, and recreational outdoor areas. Define all costs associated with the commercial lease, including base rent, utilities, and any other fees. Lay out the rights or restrictions on sublets or assignments. Determine the lessee’s right to make improvements or alterations to the commercial space. Determine each party’s obligation in regard to insurance policies. Define situations in which each party may terminate the lease and under what circumstances damages may be obtained. Include jurisdictional requirements for potential disputes, such as requiring claims be brought in Florida. Include a mediation or arbitration clause if you wish to avoid lengthy legal battles. Whether you are leasing commercial property you own or looking to rent out a commercial space, you should seek an attorney’s advice from the very beginning. An attorney can help you look for the right space or tenant. They can then help you negotiate the terms of the lease, ensuring you are not taken advantage of. Depending on the space and the parties involved, negotiations can be relatively simple or complex and lengthy. Do not assume this step of the process will be easy and you can forgo an attorney. You never know what will come up or the provisions a potential landlord may try to slip in. Finally, an attorney can ensure everything that was finalized during negotiations is properly drafted into the final lease and properly executed. If you are starting a new business, need to move to a new space, or have commercial space to rent out, you need an experienced commercial real estate transactions attorney to help and protect your rights. 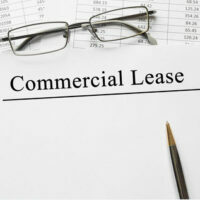 By working with an attorney, you can speed up the commercial lease process and avoid future legal battles. To learn more about how an attorney can help you, contact the Law Offices of Larry E. Bray, P.A. at (561) 296-5291. Our West Palm Beach office can help you immediately.